The staff at Peak Development would like to thank all of our customers and suppliers for their support during 2014. 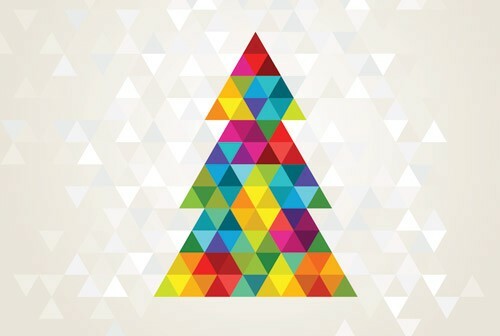 Our offices will close for the Festive Period at 1PM on Christmas Eve (Wednesday the 24th December) and will re-open at 9AM on Friday the 2nd January. Dan from OverBoard brings us another one of his great product videos, this time for the new OverBoard Classic Duffell. Check out the video below, and have yourself a Classic Christmas! The Sony Action Cam captured this attempt to break the record number of Santas skiing at Crested Butte, Colorado. Will they beat the current record of 500 Santas? Watch and find out below! 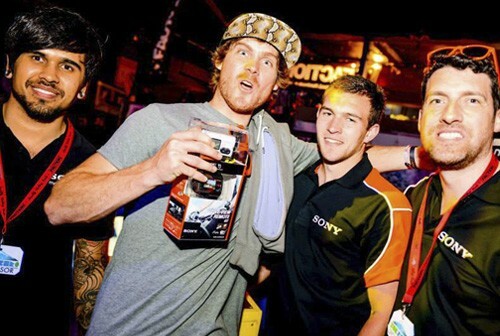 Big thanks to Sony Action Cam Partner Skiers, Tom Runcie, Rob Dickinson and Jack Weise. Victor takes the Sony Action Cam Mini for a ride. Ever wondered what it's like to fly like an Eagle? Wonder no more! Victor, a White Tailed Eagle, recently took the new Sony Action Cam Mini on a flight across Paris from the top of the Eiffel Tower. Watch Victor glide over the Trocadero, then plunge at 180 km/h to the ground! Our friends at OverBoard - the leading designer and manufacturer of water sports, travel and outdoor gear - have been incredibly busy! They've brought us not just one, but three new ranges: a brand new Pro-Vis and Pro-Sports range, and an updated Classic Range. Pro Sports All products within the Pro-Sports line-up are crafted using a durable heavy-duty PVC tarpaulin and feature a 100% waterproof roll top design and welded seams. The Pro-Sports range is perfect for sailors, cyclists, snowboarders, hikers and campers needing to carry and protect their belongings from water, snow, sand and dirt. In order to further meet the needs of outdoor enthusiasts, the bags have a number of other useful features including two large outer elasticated mesh pockets, reflective strips and chest and waist straps that makes carrying kit easier and even more comfortable. Pro-Vis Constructed using a tough and durable high-vis PVC orange fabric and featuring large light-reflective strips, the Pro-Vis range is perfect for Cyclists and other active individuals that need to be more visible whilst they work or commute on the road. Each new bag in the Pro-Vis line-up is IP66 rated – meaning it is so Water Proof that it will float and even handle quick submersions. Individuals can be safe in the knowledge that their valuables are fully protected from water, snow, sand and dirt. Classic Designed to be tough and hardwearing, all products in the new Classic line are 100% waterproof, float safely if dropped in water and will protect contents from dust, dirt and sand. Perfect for water sports and all types of outdoor activities, there’s a bag within the Classic Waterproof range to suit every need. We'll be updating the website over the next couple of days. In the meantime, you can find out more by downloading the new Overboard 2015 Catalogue - PDF 5MB. 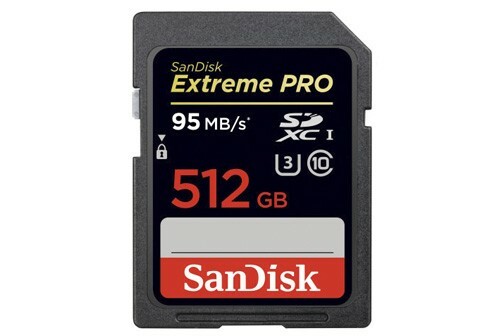 SanDisk have announced the World's Highest Capacity SD Card for photographers and videographers: the 512GB SanDisk Extreme PRO SDXC Card. The card is being marketed toward professional photo and particularly professional video and film makers shooting 4K. The card features write speeds of up to 90MB/s and transfer speeds of up to 95MB/s. We'll keep you updated on price and availability. Sony have announced the new Action Cam Mini HDR-AZ1R. It's approx. 2/3 the size of the current AS100VR, but seems to share a lot of the same spec. Sony have achieved the reduction in size by embedding the GPS unit in the new Live-View Remote RM-LVR2V. That means more shooting fun with smaller cam dimensions, lighter weight, and a splash proof body, plus the same sensational image and sound of the Action Cam lineup. The new Live-View Remote RM-LVR2V can control remote playback (without sound) and delete recorded movie footage. It also supports GPS logging, enhanced brightness of the monitor screen, with a longer strap for more live-view remote uses. No word on price and availability. We'll keep you up to date right here. Peak are pleased to announce that we will be working exclusively with revolutionary power brand Enerplex to bring their rugged, portable solar power range to the UK. With a range of award-winning power solutions from the sleek and lightweight to the rugged and durable, Enerplex products offer a complete portable power solution whether you’re in the boardroom or up a mountain. 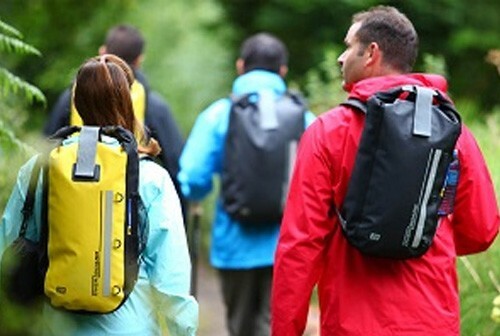 Unlike traditional solar products which are based on glass, Enerplex’s solar panels are based on a shock-resistant and lightweight plastic allowing them to be safely integrated into backpacks, paniers and phone cases. How rugged are they? One American reviewer shot a Kickr IV solar panel twice with a handgun and then drove over it in a Jeep. It still worked! If you're after a first look at this exciting new range, visit us next week on our stand at The Outdoor Trade Show where we'll be joined by members of the Enerplex team from Colorado, USA. We're excited to announce that legendary skateboarder (and video game character) Tony Hawk has joined team Sony Action Cam and will now act as an ambassador for the brand! Tony says, "I’ve used Sony cameras throughout my entire skating career, and brought the new Action Cams out with the team on the Birdhouse Tour. The new cameras allow me to create content from angles I could never get before, and the quality is better than anything else out there,”. Join us at The Outdoor Trade Show 2014. For the second year in a row, we'll be exhibiting at the The Outdoor Trade Show from 9th - 11th September 2014. The three day event at Stoneleigh Park is now in its 9th year and has become the UK's leading trade only event for the Sports and Outdoors Market. Get hands on with the Award Winning Sony Action Cam AS100VR. Stay in charge with Rugged, Solar Power from Enerplex. Protect your gear with OverBoard, the Leaders in Waterproof Bags and Cases and discover a range of outdoor lifestyle products from Veho. Why not make an appointment or drop by stand P51 to see the latest products? Register is free at the Outdoor Trade Show Website - see you there! A Ewe-nique View of the Tour de France! In a stroke of marketing genius, our friends at Sony have come up with the ultimate Tour de France publicity stunt… A totally ewe-nique view of the action if you will! They’ve recruited a flock of sheep to capture the Yorkshire leg of the Tour de France using a modified dog harness and the stunning new Action Cam AS100VR! 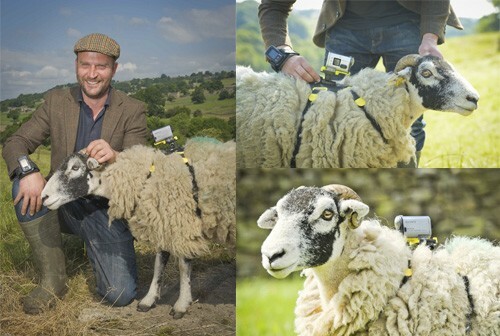 Five sheep from Harewell Hall in Harrogate have been recruited by Sony and converted into sheepcams. 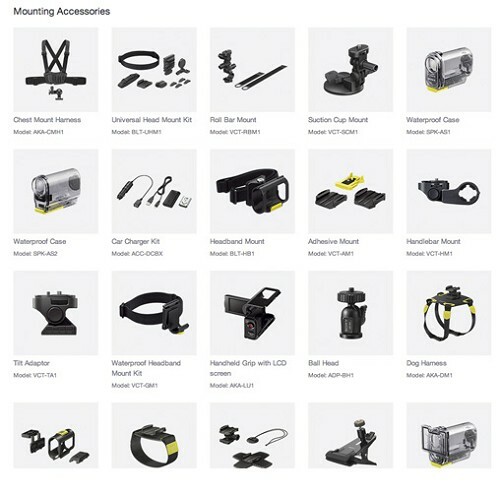 The sheep are fitted with the wearable full HD AS100VR ActionCam which has Advance SteadyShot image stabilisation that smoothes camera wobbles, offering more stable and blur-free images whilst the sheep are on the move.! The camera is fitted securely and safely to the sheep using an adapted dog harness mount accessory for the best quality picture. It is one of many Action Cam specific accessories that let the user capture every adventure – even that of your pet. Local Harrogate Farmer Ian Hammond can control the visuals of five sheepcams at the same time remotely through the use of the live view remote and if the rain should pour on Sunday, it won’t affect the footage as all the cameras are splash proof plus come with a waterproof case. There’s absolutely nothing that we don’t love about this story, and the pictures are awesome too. Check them out below!! 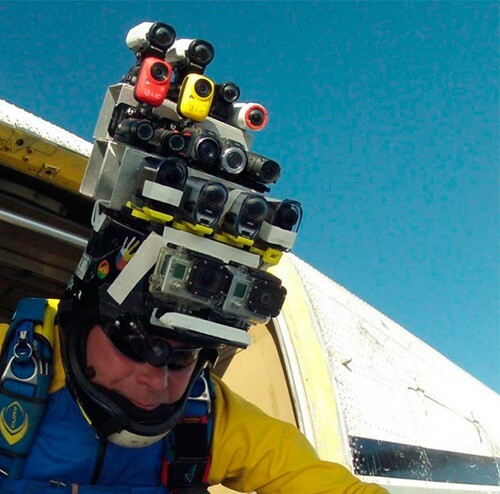 Over at CreativeCOW.net, Grammy award winning musician and film maker, Douglas Spotted Eagle put 11 of the latest POV Action Cams to the test. The Sony Action Cam AS100 took the prize in many of the different tests including Image Quality, WiFi, Audio, Slow Mo and Pro Codec. In spite of stiff competition from Go-Pro, Drift and Garmin, the Sony Action Cam AS100 was rated as the best overall product. Special mention has to go to Douglas' supreme invention, "Frankenlens". It certainly beats my idea for a rabbit powered lawn mower. Check out the article here. On Friday 9th, May Sub Zero Events took over the Coronet London for the UKs BIGGEST END OF SEASON SKI PARTY! We were there all night with the fantastic new Sony AS-100VR Action Cam and our Snowboard Simulator. Everyone that rode the sim, took home a pair of our Sony Action Cam shades, but there was only one winner - Simon Jones with a time of 273 seconds was that man! Excellent work fella. How about heading to Devon to check out some dinghy racing at the GJW SailJuice Winter Series this weekend? 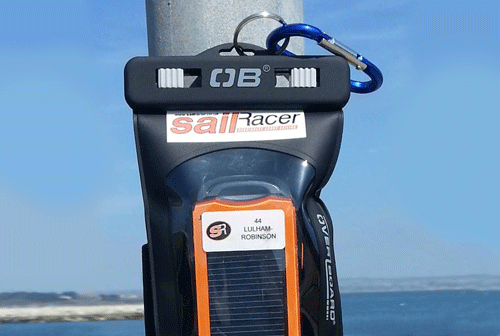 While you’re there see if you can spot our OverBoard waterproof GPS cases – each boat has a GPS tracking unit attached to its mast and of course they use OverBoard gear to Keep It Dry! 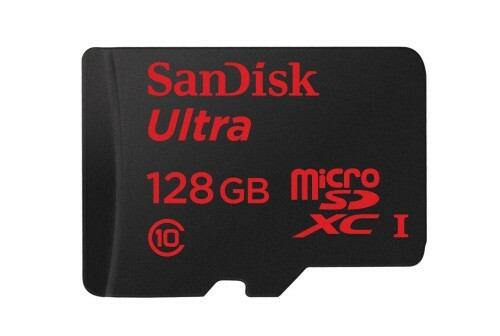 SanDisk have announced the availability of the world's highest capacity microSDXC memory card. The new SanDisk Ultra microSDXC card means that consumers can now store 16 hours of Full HD video, 7,500 songs, 3,200 photos and more than 125 apps, all on a single removable card. Compared to when the microSD card format was first launched in 2004 with 128MB of capacity, SanDisk have now increased the storage capacity of microSD cards 1,000 times over in less than a decade. We've got the new card on order and you should see it on your next SanDisk pricelist. Email our sales team for more information or call us on 01489 796979. With 4 million unique users every month Trusted Reviews is THE definitive UK source for technology reviews and news. The sites roundup of the best Soundbars for 2014 features not one but two Maxell Soundbars! What's more, Maxell is the only manufacturer that has two products in the roundup. Trusted Reviews gave the MXSP-SB3000 9 out of 10 stars. It is being compared with the Denon DHT-T100 and the Cambridge Audio Minx TV and according to the article it still stands out. Read the MXSB-SB3000 review here. and the the MXSB-252 (which is featured as the best Soundbar under £100) here. If you're interested in getting on-board the Soundbar revolution, email Will Wilkie in our sales team or give him a call on 01489 796979. SanDisk Memory Card spends three years at the bottom of a lake - and survives! This week a Lake Tahoe fisherman reeled in an unusual catch - a Canon digital camera! Inside the camera was a SanDisk Ultra memory card with over 1000 pictures on it - still perfectly intact. We thinks that's pretty impressive when you consider it had spent the last three years of it's life at depths of up to 200 feet underwater. The fisherman took to Facebook and managed to get in touch with the cameras owner who had lost it while sailing.